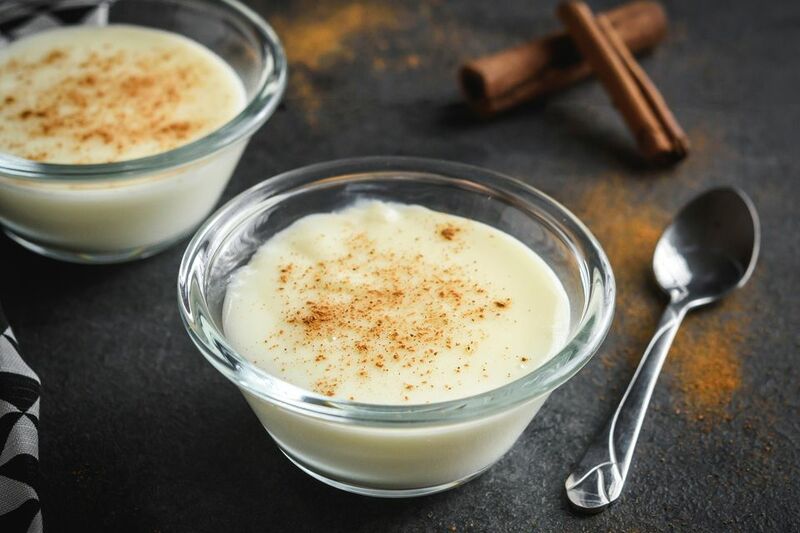 Tembleque means "wiggly," so this recipe for Caribbean coconut pudding is aptly named. Creamy, jiggly, and delicious, this tembleque recipe is especially popular in Puerto Rico. It makes a rich and smooth coconut pudding that's perfect for birthday parties, the holidays or any other special occasion — you might even want to try it just to liven up an average meal. Mix together the cornstarch, sugar, and salt in a saucepan. Whisk in the coconut milk and simmer over medium-low heat, stirring constantly until the mixture thickens and it's thoroughly cooked through, for about 6 minutes. Remove the saucepan from the heat and pour the pudding into individual dessert cups. Allow the pudding to cool off a bit, then chill it in the refrigerator for at least 1 hour. Garnish with sprinkled ground cinnamon, a cinnamon stick, and/or toasted coconut flakes before serving. The trick to properly toasting coconut flakes is to spread them as evenly as possible on a baking sheet so they form a single layer. Roast at 400 F for about 7 to 10 minutes, stirring them once or twice. Keep an eye on them — coconut has high-fat content so it can go from golden brown to black and burnt in the blink of an eye. Remove the flakes from the sheet as soon as they're roasted. They'll continue cooking on the hot sheet otherwise. Some recipes advise letting the pudding sit in the refrigerator for 2 hours so it sets completely, or even overnight. You can strain the pudding before chilling it if you want to ensure that it comes out perfectly smooth. Coconut milk is available in most large markets — GOYA produces and sells it — and you can usually find it in specialty shops. It's often canned, so you can also order it online. Chill the tembleque in a baking dish for a different presentation. Cut it into squares to serve. You can also use creamed coconut and regular pasteurized milk. Use one part creamed coconut to five parts milk. A traditional Puerto Rican version of this recipe calls for adding 1 teaspoon of vanilla. If you're a real fan of coconut, feel free to add 1/2 teaspoon of coconut extract. Coconut milk can be purchased either sweetened or unsweetened. You can use either for this recipe — it depends on your taste and the extent of your sweet tooth.